A blog by Steve Wake considering the health benefits of vaping over smoking cigarettes. I wanted to find out what the evidence for this was. Although it seemed to me that the headline was sensationalist ‘clickbait’, I was interested to find out. A quick search of the University of Minnesota’s website (where Silvia Balbo works) yielded nothing on the specific study. Assistant Professor Balbo’s profile page however, suggested that her study had been in at least three media outlets. However, there was no link to the study. Further research suggested that the study was carried out on a small group of e-cigarette users and their saliva was found to have DNA-damaging compounds. Damage to DNA is the first step on a path that might lead to cancer. 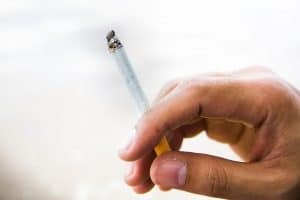 I was relieved, but I still wanted to know what evidence there was for this new trend that we seem to have embraced with very little evidence other than the obvious fact that it must be safer than normal cigarettes. In the United Kingdom, Public Health England (PHE) published an update to its 2015 review and concluded that “vaping poses only a small fraction of the risks of smoking and switching completely from smoking to vaping conveys substantial health benefits”. On Health Risks of e-cigarettes, it was reported that one assessment of the published data on emissions from cigarettes and e-cigarettes calculated the lifetime cancer risks. It concluded that the cancer potencies of e-cigarettes were largely under 0.5% of the risk of smoking. However, as with many studies it admitted that more research was needed into the long term effects, after all this is a ‘new’ fad. PHE concluded that there is no evidence that vaping increases the risk of mouth cancer above the risk of smoking normal tobacco. There is more research to be done, but the evidence from British and US governments is that vaping is a safer alternative to smoking. Also there is no evidence that vaping is a gateway to smoking tobacco. Overall, I was relieved by the available evidence available relating to cancer. However, as I discussed this research with a friend in dentistry, I was alerted to other risks that I had not considered. What about gum disease and infection? Smoking damages your mouth’s ability to deal effectively with infection. So, if you smoke you have a severely depleted defence mechanism. This doesn’t seem to be a problem with vaping as the ingredients; water, propylene glycol, vegetable glycerin and nicotine have not been proven to be a risk if increased contact with bacteria or mould. However, I have read some reports that explain that nicotine burnt via vaping may inhibit and mask periodontal disease from both the patient and the dentist. Overall it does seem clear that there are health benefits of vaping over smoking. However, what is more clear, is that refraining from vaping or smoking is the optimum solution in maintaining good oral health.